What Will Bring Style to My New Home? Q. I have a house that was built a few years ago. It has a nice floor plan, but there is no trim and there are no interesting windows. What can I do to give it a more substantial look? I want it to look “designed” not just decorated with pillows and things. On the other hand, I can’t afford to rip up perfectly good floors and walls. I want something more than paint, but less than a remodel. What suggestions might you make?—K.J. A. All you need to do is add few strategic elements that have the look of permanence. 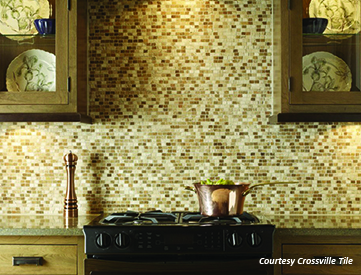 Think “built in” for lighting, cabinets, a window seat, a wet bar, ceiling beams, and tiled and unique surfaces. One focal wall of built in bookshelves with alcoves and decorative glass costs less than adding crown moulding throughout the house. Current trends of artistic expression will work well with this approach. Lighting is more creative today than at any time since the 1920’s. Consider using rows or staggered groups of fixtures or using pieces in non-traditional ways like chandeliers over nightstands on either side of the bed. 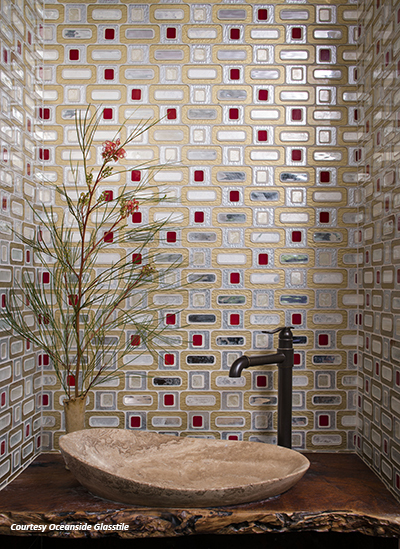 Tile offers a vast array of color and pattern that will create substantial walls and surfaces. 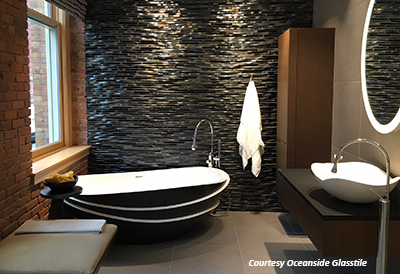 There is no need to cover a room with surface material. Just select feature areas for a boost. 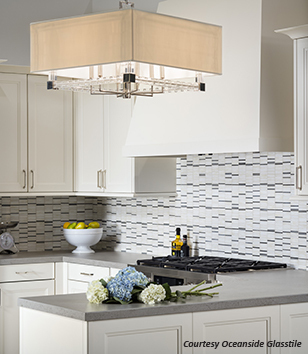 Current tile trends emphasize walls as a single unit rather than novelty tile interspersed, an approach popular in the last decade (think an entire kitchen wall floor to ceiling, not just a backsplash). 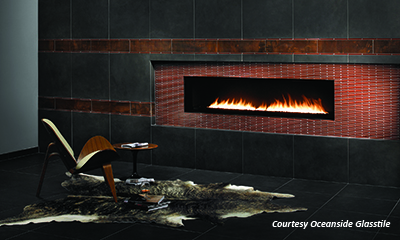 Dimensional shape of tile is as interesting as its silhouette. After a few impressive areas are developed, add decorative items that continue some element of the feature work. Then, the space will look thoroughly designed.